Take a break from my Davao Oriental trip. Love to share my creamy peanut butter recipe, I got the original recipe from Quakers site. Mine got a local twist by using Ate Annie's Annie's Creamy Peanut Butter. Let me share to you, who Ate Annie is? 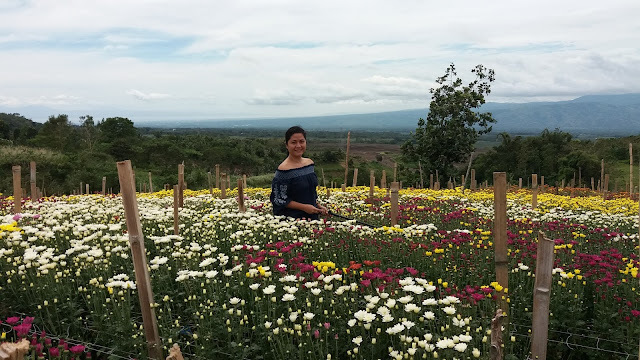 She is one of South Cotabato's Gawad Saka (Family) Awardee. Her family grows vegetables and other farm animals. One of their produce is the peanut, which they use in making peanut butter. What i love about it is they choose high grade nuts for it, not the "reject." I love to share farm to table recipes and locally produce products to help our local farmers. In our own little way we can help boost our economy by buying local products. Beat peanut butter and sugar for about 3 minutes, then add all the remaining ingredients. Bake it in a 350 degree oven for 20 minutes.